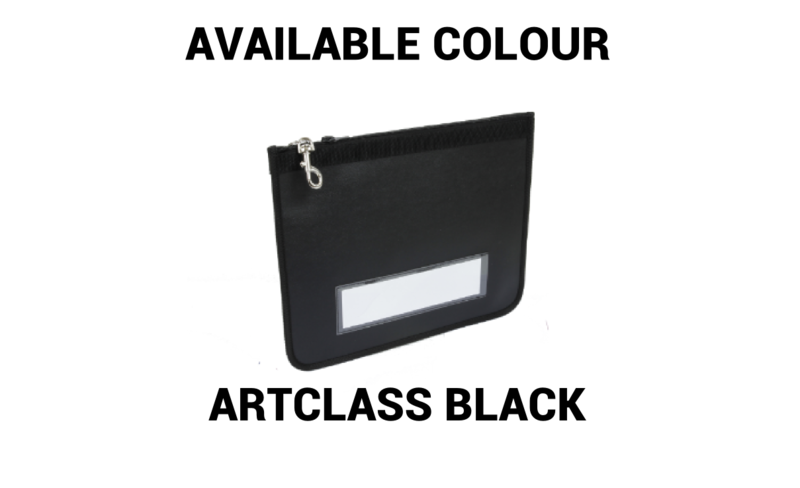 Our Ecoclass wallet is made from PVC reinforced canvas. 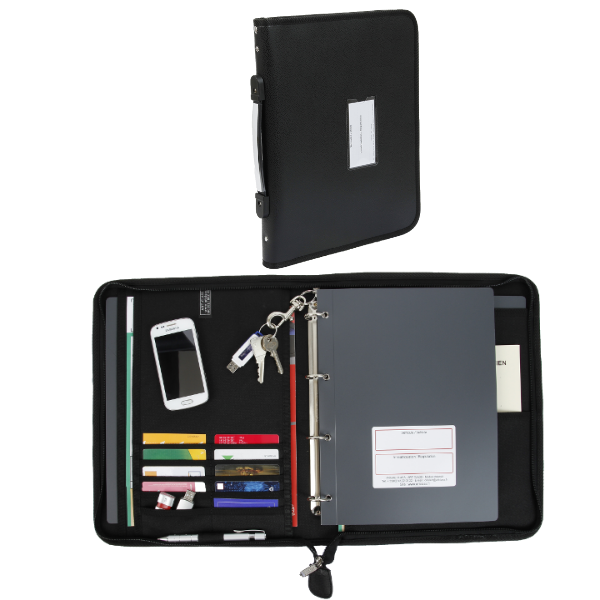 It is waterproof, washable and ultra resistant. 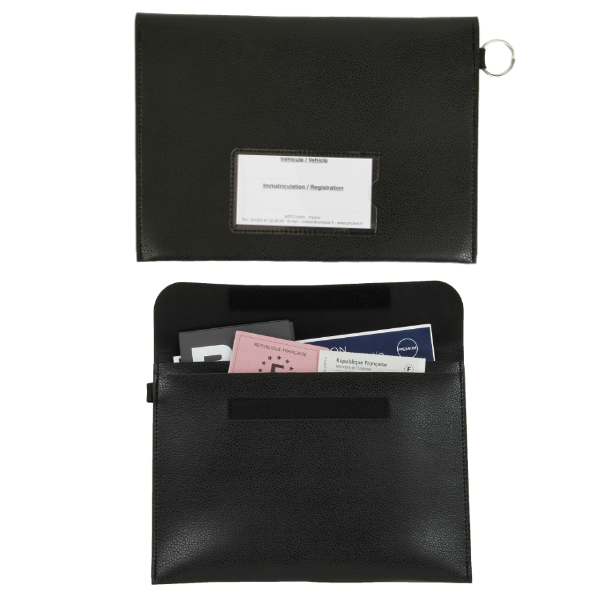 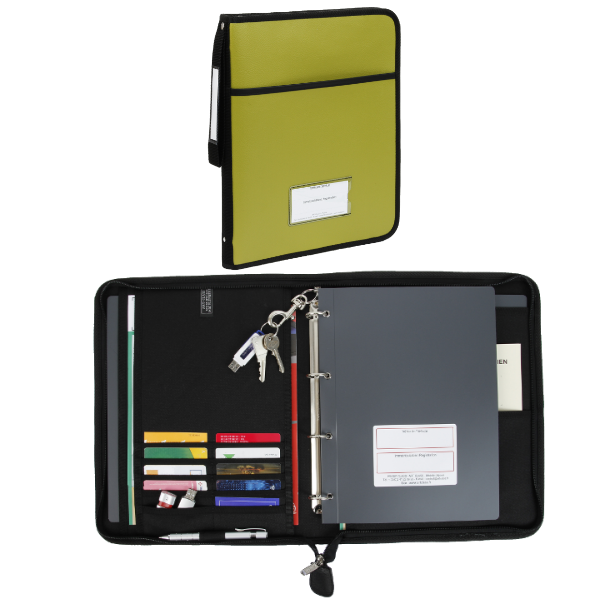 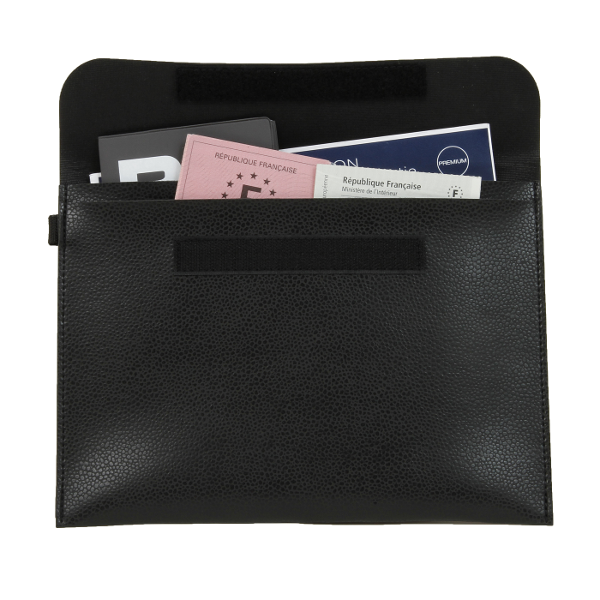 The document has an interior separator to organize documents and papers on one side and an ID holder and external ring binder. 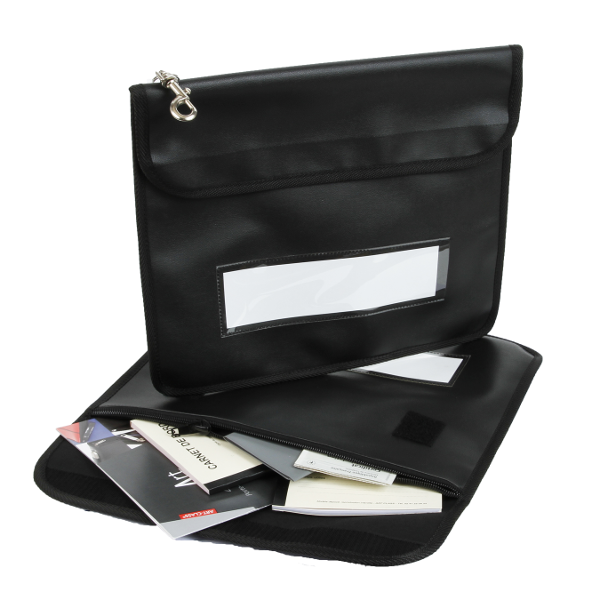 Shipped within 48 hours in blue or black, for an order of 1-50 items without customization. 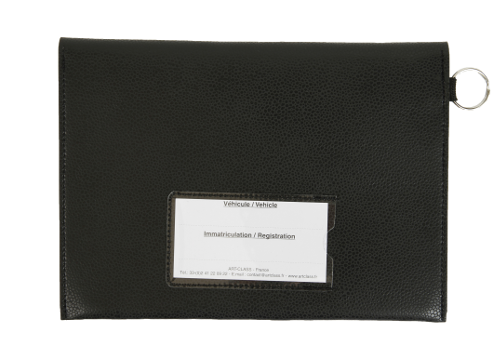 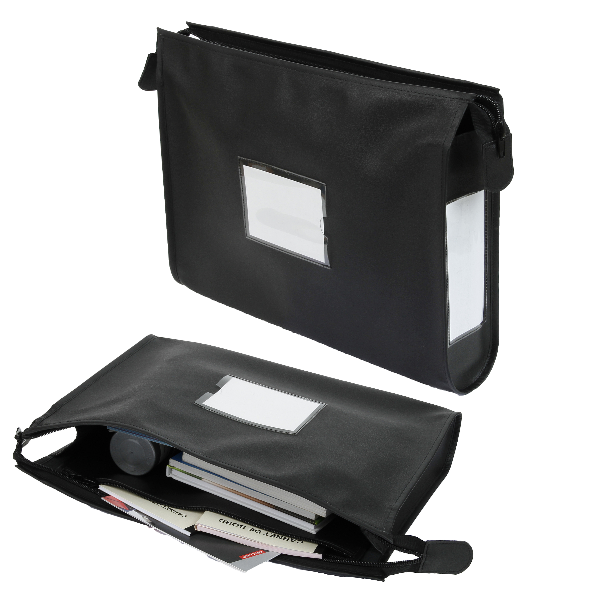 Our Ecoclass document wallet is made from PVC reinforced canvas. 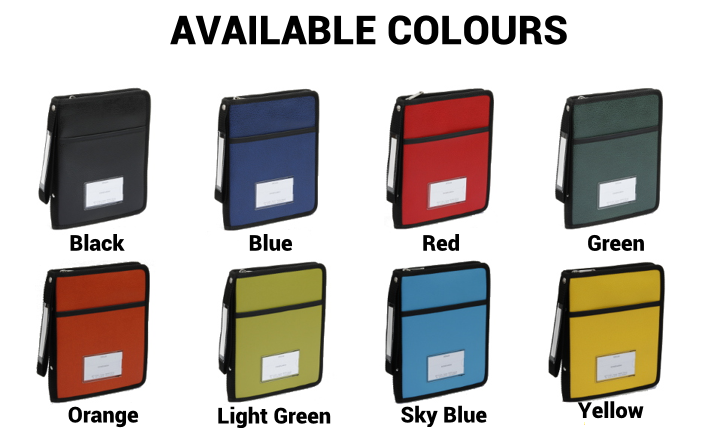 It is waterproof, washable and ultra resistant.